As we enter the Fortnight For Freedom 2013, which will last from today till July 4, we need to remember the sacrifices of other Catholics who have laid down their lives in defiance of tyrannical kingdoms and governments. 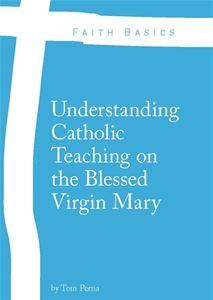 It is fitting, and obviously planned, by the United States Bishops to begin this fortnight in anticipation of the feast day of Sts. John Fisher and Thomas More. From the early Christian martyrs to Sts. Fisher and More to the Mexican Martyrs (so eloquently shown in the film, For Greater Glory) to Sts. Maximilian Kolbe and Edith Stein to the Catholics and Orthodox that are being killed for their faith around the world today, it is fitting that it is now our time to Stand Up for the great injustice (HHS Mandate which is set to begin on August 1, 2013) that has been promulgated by the current presidential administration; an administration that has tyrannical, socialistic, and anti-Christian tendencies rooted in its very foundation. They are a great threat to this nation and people of good conscience. At this time, we may not be called to shed our blood for the faith (red martyrs), but we are being called to stand up for our faith and face social persecution (white martyrdom). Over the next couple of weeks, we will celebrate the lives of martyrs in the liturgical calendar. During this time, we must pray, study, catechize, and engage in public action (search religious freedom on this blog and you will find more posts). Religious Freedom is at the heart and center of not only the United States of America, but it’s also fundamental to every human being by means of the Natural Law. I urge you during this time to pray hard for the conversion of the hearts of those seek to destroy the Catholic Church. The Catholic Church has faced many tyrants in her past and every time has been victorious for we have Jesus Christ and He has already conquered evil and death. 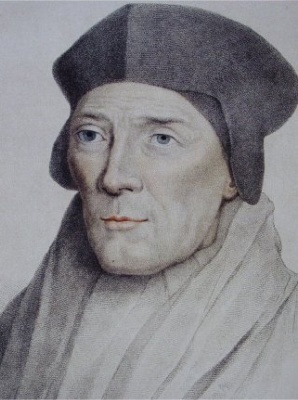 St. Thomas More is the key figure for us when we think of one who stands up to tyranny and injustice. 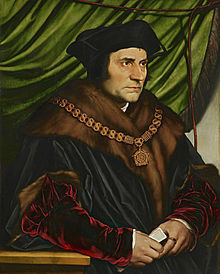 St. Thomas More was wrongfully committed of High Treason by the Kingdom of England for not agreeing to the marriage of King Henry VIII. Below are the last few lines of St. Thomas More from the play, A Man For All Seasons. I think we need to remember these words and try to live up to them for ourselves and fights we many have ahead. This is a play I first read in college and many of the lines have stuck with me over the years. It’s a beautiful depiction of St. Thomas More as servant to the king, but God’s servant first. As I have said in other posts – We are Americans, but we are Catholic first!